How to use your discount promo code. 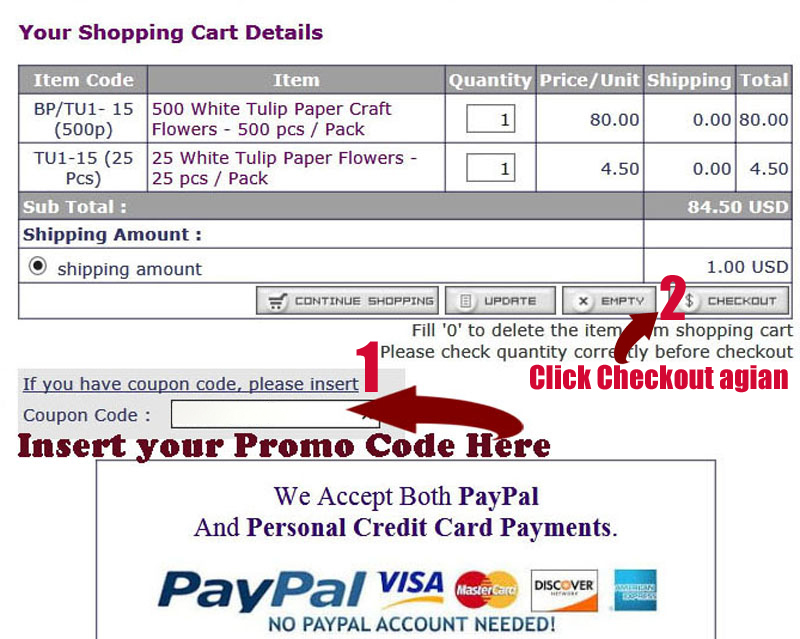 Step1: During checkout, insert your Promo Code in the blank box under your shopping cart details, as shown in the picture below. Then click "CHECKOUT" bottom again. 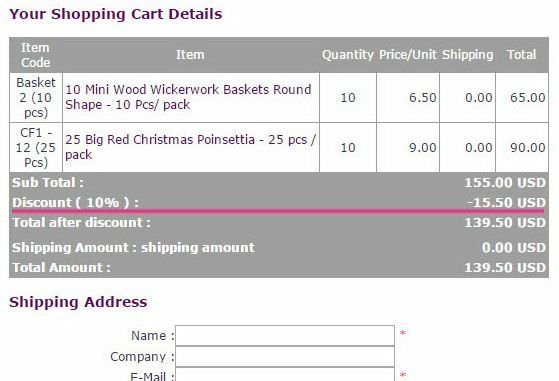 Step2: You will see the discount on your shopping cart checkout details under Sub Total. Then continue to complete checkout and payment.